For CSIR NET Mathematical Science, you can score a maximum of 75 points from Part B (20 questions to try) and a maximum of 95 points from Part C (20 questions to try). According to the CSIR NET Mathematical Science Scheme, Part C has 4 units but the fourth unit is statistical. So only the first 3 units are Mathematics, which has 42 questions and in the exam you have to try 20 questions only. Therefore, 2 units will be sufficient for the candidates if they are prepared in an excellent way. But in case, you have enough time to prepare for the 3rd unit, then you can try the 3rd unit questions as well. 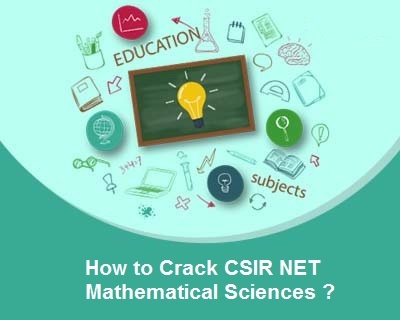 As you prepare for the CSIR NET Mathematics Science Examination, candidates must definitely resolve the question documents from previous years to know the format of the question and to evaluate their performance in terms of speed and accuracy. You can also take online learning help to better prepare you for this exam. In order to ace the math exam, one must master short tricks and mathematical formulas. And the other key skill that can help candidates score more is Time Management. The exam time is 180 minutes, break this time in three parts of 90-95 minutes, 55-65 minutes and 20-25 minutes. Questions in Part C have more than one choice as a correct answer, so it is always better to start with Part C because after you solve this part concept it will be clear in your mind, and then it would be very easy to try Part B. So solve Part C in the first 90-95 minutes and then part B in the next 55-65 minutes. You should try Part A on the last one and should not give more than 25 minutes.